When it comes to those basic maths facts, there's nothing like practise, practise, practise. But making them interesting is quite another matter. Here's an irresistible activity you can use with your second grader to send messages in “secret code.” Next time you pack a school lunch, for example, try putting in a special note with your love and good wishes … in a code that your child and her friends can decipher over their meal. 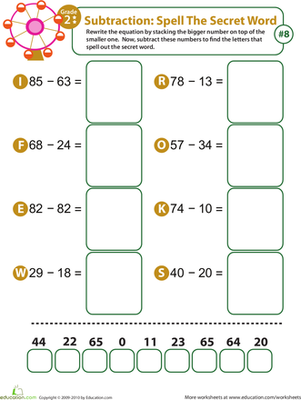 Make up some addition problems for your child to solve. 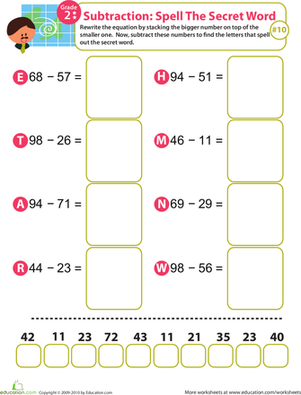 Make a decoding sheet to correspond with the answers, and write a letter for each answer to create a message! Write your message on the decoder key, by making a small line for each letter of the alphabet in the message. 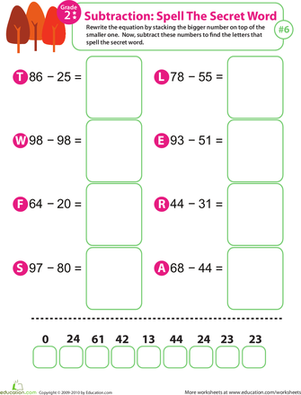 Write out your message lines, and then let your child take a whack at the maths facts to decode your words. The sum of each pair of numbers appears under each line of the message, and matches up with a letter. 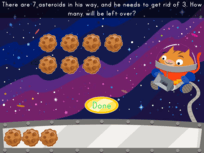 For a child who is making good progress on maths facts, this is a fairly fast activity … but one that will bring a sense of accomplishment that lasts all day and beyond! 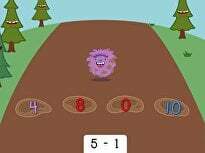 Fluency with subtraction is one of the foundations of the year two maths curriculum. 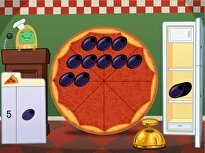 This guided lesson on subtraction was designed by our team of curriculum experts to reinforce first graders' understanding of subtraction, as well as boost their confidence with this operation. 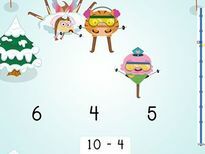 When finished with the lesson, kids can find extra opportunities to practise subtraction with the accompanying subtraction worksheets. 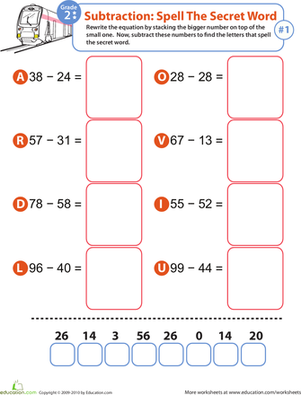 Fluency with subtraction is one of the foundations of the year two maths curriculum. 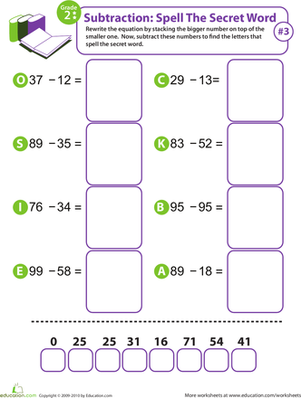 Help your kids learn their subtraction facts with this year 3 maths worksheet. At the end, they'll use their answers to uncover a secret word. 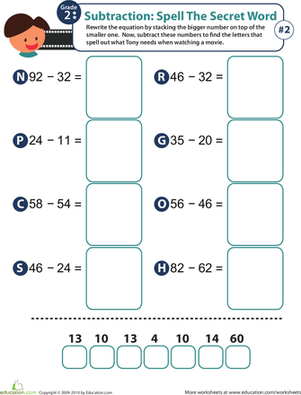 Kids practise two-digit subtraction then use their answers to uncover a secret word in this year 3 maths worksheet. In this year 3 maths worksheet, your child will practise writing equations and subtracting, then use their answers to uncover a secret word. 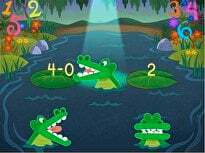 After completing the problems, your child will use their answers to uncover a secret word. Complete two-digit subtraction problems to reveal a secret word. At the end, they'll use their answers to uncover a secret word. Decode the secret message Ninja Aki has sent you! He writes his messages in addition and subtraction problems. Solve and unravel his secret ninja message! 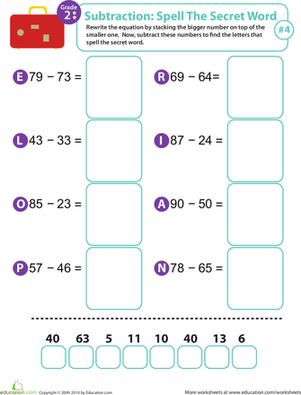 Reinforce addition facts with this handy worksheet that features a sums and addends table and a handful of practise problems. 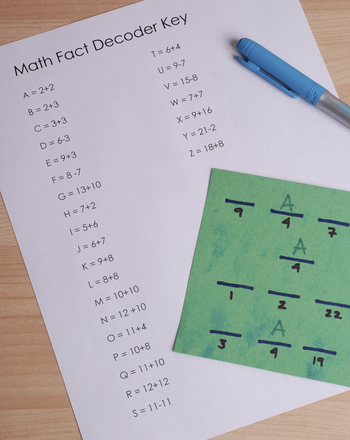 Ensure your third grader has a solid subtraction foundation with this subtraction facts worksheet that's packed with extra practise. At the end, they'll uncover a secret word.